Are your dreams stuck in your head? Do you have loads of brilliant ideas for your life that never come to fruition because you are to busy? Do you feel like you never achieve your goals? Do you want to make things happen in 2019? 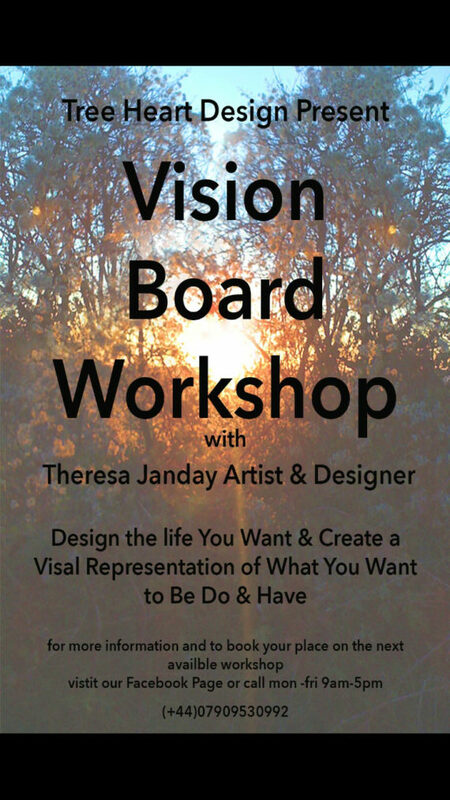 Vision board are a brilliant and fun way to manifest your dreams and make them a reality. Our minds are incredibly powerful vision boards are a representation of what you want to do be and have. After an induction to the basics and a calming meditation your go on to crate you own vision board with the help of and guidance of Theresa. The aim of the event is to give you 2 hours mindful me time in a relaxed environment with other likeminded individuals. As well as a taster of what is available in my full and half day workshops also providing you with a tool that you your self can use . Afterwards enjoy hot beverage or grab a snack .